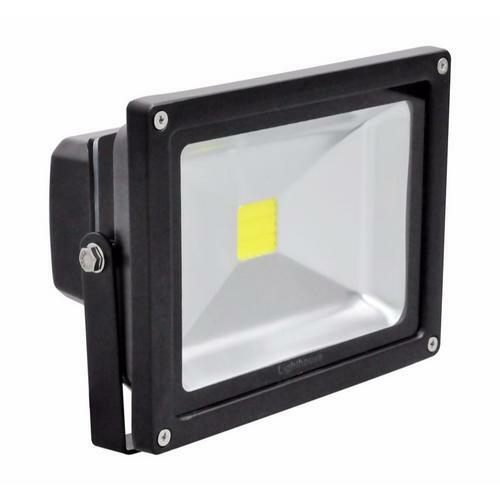 The Lighthouse FLB Powder Coated LED Flood Light Fittings are an incredibly cost-effective lighting solution, reducing energy consumption by up to 80% when compared to HID lights, and boasting a 50,000 hour lamp life with minimal maintenence required. Comes with surge protected ballasts with automatic current control giving better stability and performance and a 2m length of pre-wired flex, making conversion to a energy and cost effective lighting solution simpler. Being IP65 rated, these floods are suitable for a vast range of uses as domestic or industrial security lights, for lighting gardens, driveways, parking areas, sports halls, pitches, churches, sheds, barns, warehouses, and much more.